Rik de Voest during the South African Davis Cup team training session at the Irene Country Club on April 02, 2014 in Pretoria, South Africa. Picture: Reg Caldecott/Gallo Images. Long-time South African tennis stalwart Rik De Voest on Monday announced his retirement from tournament tennis after 16 years on the ATP circuit. “I have been lucky enough to experience so many dreams, memories and achievements coming true,” said the 34-year-old De Voest. De Voest is due to compete in his final event this week at the Odlum Brown Vancouver Open, for which he was given a wildcard entry in recognition of his services and achievement to this tournament in particular and tennis in general. 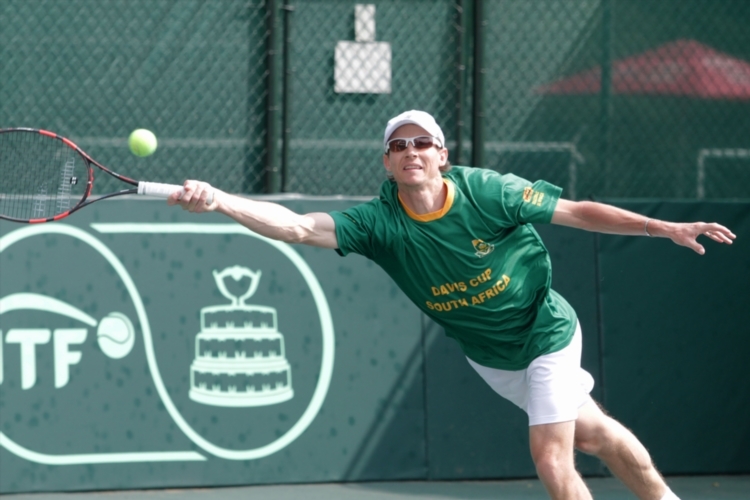 After becoming a perennial fixture in the team for more than 12 years, De Voest in April announced his retirement from Davis Cup competition following South Africa’s 3-2 Euro-Africa Group Two Davis Cup defeat against Lithuania. It was in the Davis Cup competition that De Voest, who was born in Milan and immigrated to South Africa with his parents as a one-year-old, enjoyed many of the finest hours of his tennis career. “Rik demonstrated his mettle as a tennis player and as a person by not only answering the call whenever he was required to represent South Africa, but also playing his best tennis and even reaching unprecedented levels while representing his country.” said Gavin Crookes, the president and acting chief executive of the South African Tennis Association. It was because of his Davis Cup commitment that De Voest received one of his greatest honours, the International Tennis Federation’s Davis Cup Roll of Honour award, this year for representing his country in 20 or more Davis Cup ties. He is now, along with South African tennis greats Wayne Ferreira, Cliff Drysdale and Frew McMillan, one of only four South Africans to be honoured by the ITF in this manner in a group that contains many of the all-time giants of the game. He has plumped for Vancouver as his final tournament destination for sentimental reasons, having met his wife, Carolyn, there and regularly included the Canadian city in his tournament itinerary. It was also in Vancouver that he proposed to Carolyn in 2007, while the couple were taking a ride in a hot-air balloon. De Voest admitted that the lingering disappointments of his career were that he never quite made it into the ATP’s elite top-100 ranking and that he did not help guide South Africa back into the prestigious Davis Cup World Group.